Saturday’s news of the release of America’s lone prisoner of war in Afghanistan, Sgt. Bowe Bergdahl, in exchange for five Taliban prisoners held at Guantánamo Bay, Cuba, launched a debate about whether the United States should be negotiating with terrorists. Conservative pundits and politicians argued on the Sunday news shows that President Barack Obama’s decision to deal with the Taliban increases the likelihood that more American soldiers could be targeted by terrorists. Democrats, meanwhile, said that terrorists don’t need extra motivation to target U.S. troops and argued that the United States didn’t negotiate with terrorists in the first place. After White House national security adviser Susan Rice explained and defended the prisoner swap on ABC’s This Week, Texas Republican Sen. Ted Cruz took to criticizing it. Everyone’s likely heard about a U.S. policy of not negotiating with terrorists, but we wanted to see if the policy is real, and whether the Bergdahl case constitutes a policy shift. First, whether the war in Afghanistan is a war in the traditional sense or something much different has clouded legal and military debate since it began. Similarly, whether the Taliban, who have controlled parts of Afghanistan, is a traditional enemy or a terrorist group akin to al-Qaida, remains a contentious debate as well. The United States has a long history of negotiating prisoner trades in times of war. But does it have a history of negotiating with terrorists, as some might classify the Taliban? According to experts we spoke with, it does. In his book, Negotiating with Evil, Reiss wrote that America actually has a detailed history of negotiating with terrorists and rogue regimes that support terrorist activity. Reiss mentioned many recent examples. We’ll highlight a few. Later, President Ronald Reagan agreed to send missiles to Iran after seven Americans were captured in Beirut, Lebanon, in what became known as the Iran-Contra scandal. President Bill Clinton’s administration sat down with Hamas in attempts to negotiate peace with Israel. His administration also worked directly with the Taliban nearly two decades ago on several occasions to see if the group would hand over Osama bin Laden and other al-Qaida leaders. One recent example came in 2010, when the United States released Shia cleric Qais al-Khazali in exchange for Peter Moore, a private British contractor, and the bodies of Moore’s security officers. So even though presidents and officials often say “we do not negotiate with terrorists,” it has not proven to be a hard-and-fast rule. Cruz’s claim rates Mostly False. Aside from talk about Bergdahl’s release, most of the Sunday shows spent time discussing Hillary Clinton and her yet-to-be released memoir Hard Choices. Fox News Sunday spent 30 minutes talking Clinton -- getting takes from Republican National Committee chairman Reince Priebus, Missouri Democratic Sen. Claire McCaskill and a four-person pundit panel. At one point, host Chris Wallace questioned McCaskill about Clinton’s resume as secretary of state and claimed Clinton "defended Syria’s President Assad as a possible reformer at the start of that country’s civil war." We decided to look into the history behind Wallace’s claim. Clinton talked about the developments in Syria on CBS’ Face the Nation on March 27, 2011. Host Bob Schieffer pressed her on why the U.S. reaction would be different from its response to Libya with air strikes. Syria, Schieffer noted, is no friend of the United States as an enemy of Israel and ally of Iran, and Assad’s father had “killed 25,000 people, at a lick” in 1982. Clinton answered, “Well, if there were a coalition of the international community, if there were the passage of a Security Council resolution, if there were a call by the Arab League, if there was a condemnation that was universal, but that is not going to happen because I don't think that it's yet clear what will occur, what will unfold. Still, as a secretary of state speaking on national television, her decision to discuss such beliefs without knocking them down suggests that she lent them at least some credibility. 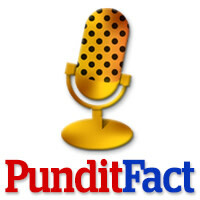 PunditFact rates Wallace’s claim Half True. Staff writers Steve Contorno and Katie Sanders contributed to this report. Aaron Sharockman is the editor of PunditFact.com.